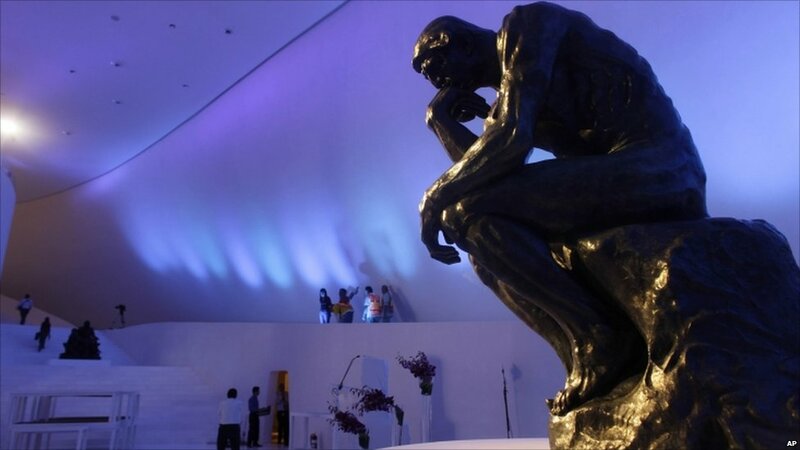 Billionaire Carlos Slim, the world’s richest man gave a sneak peak Tuesday at the new museum where he plans to show his vast collection of art and collectibles, including priceless pieces by Mexican muralist Diego Rivera, French sculptor Auguste Rodin and Italian master Leonardo da Vinci. 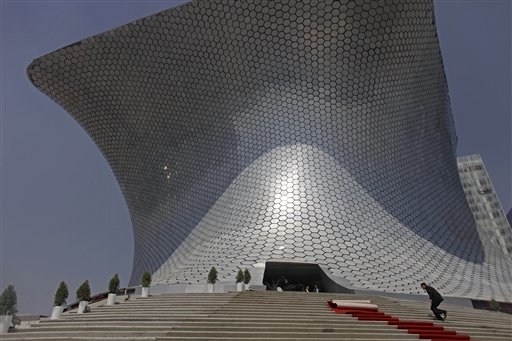 The Soumaya museum, named after the Carlos Slim's wife will opens to the public on March 29 and admission will be free. The Carlos Slim Foundation will underwrite all of the museum’s expenses, including maintenance and the cost of mounting exhibitions. Designed by Slim's architect son-in-law, Fernando Romero, who apprenticed under Pritzker Prize winner and urbanist Rem Koolhaas. 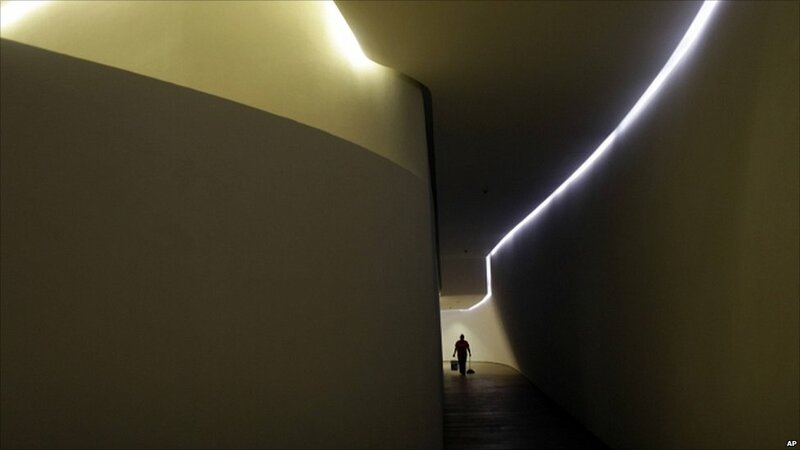 The six-story, anvil-shaped building cuts a dramatic arc through the skyline of the capital's upscale Polanco district. 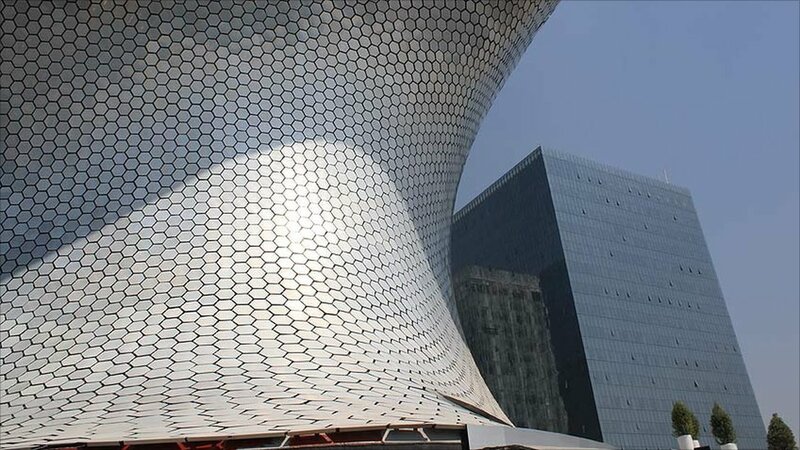 Some 16,000 aluminum panels make up the museum's bending exterior, reflecting sunlight onto broad stairs leading to the entrance. 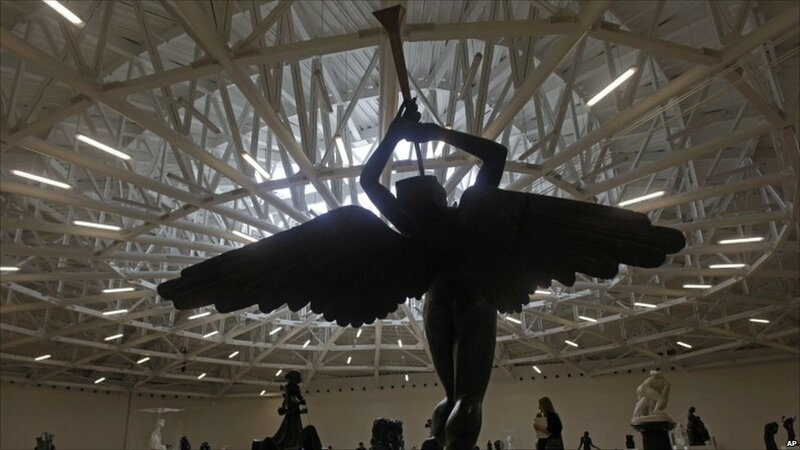 Inside, the Soumaya features 183,000 square feet (17,000 square meters) of exhibition space encompassing six halls.